Borussia Dortmund vs Hannover 96 predictions for this weekend’s German Bundesliga. 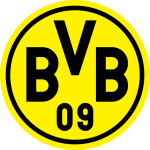 League leaders Dortmund take on strugglers Hannover at Signal Iduna Park on Saturday. Read on for our free betting tips and match preview. Borussia Dortmund’s 1-0 win in Leipzig last weekend was significant for a few reasons: With that result, Dortmund maintained their 6 points lead atop the table. Secondly, it puts minds at rest following their shock 2-1 defeat against Fortuna Dusseldorf last time out on the road. And finally, it was yet another win against one of the league’s strongest sides, only further establishing their dominance within the top four. Forward Paco Alcacer, who has been Dortmund’s “super-sub” with 12 goals this season, may see himself return to the starting lineup on Saturday. New signing Leonardo Balerdi could also make an appearance. Hannover began 2019 as miserably as they ended 2018. Beaten 1-0 on their own turf by North German neighbours Werder Bremen, Hannover looked deflated and remained three points adrift of safety. And they couldn’t really ask for a tougher fixture to try and turn things around in. Signal Iduna Park is always a tough visit for any side, never mind one that will be without their star player, Niclas Fullkurg. The German forward, who scored the joint third most in the Bundesliga (14) in 17/18, will miss the rest of the season with a knee injury, so the pressure is on loan pair Wood and Nicolai Muller to get the goals. Dortmund’s near unprecedented form, and particularly that when they play at Signal Iduna Park, makes it very difficult to look past them for a win here. No team has scored more goals at home than Der BVB, and when you look at their attacking assets, you shouldn’t expect anything less. Marco Reus, Mario Gotze, and Jadon Sancho have all been regular contributors in the 18/19 season, alongside the aforementioned Alcacer, and between them, they’ve led Dortmund to score at least two goals in every home match this term. As the saying goes, “Goals win games.”, and that’s where Hannover have really been struggling, so for us the value here looks in backing them to win ‘to nil’ (ie, Dortmund to win and Hannover not so score). Hannover are having it really tough at the minute, and last weekend’s defeat was their fourth consecutive defeat ‘to nil’ in front of the home fans. Overall, Hannover have scored just two goals in their last six Bundesliga outings – failing to score in four of these (67%) – so it’s hard to see them breaking that trend against the Bundesliga’s joint best defense. How many Dortmund will score is the real question, and with Hannover conceding two or more in six of their nine away days so far, we should expect a few. Our prediction: 3-0 Borussia Dortmund. Dortmund have won 26 of their 53 Bundesliga matches against Hannover (D15 L12). These sides played out their first goalless draw in the reverse fixture. Borussia Dortmund have won seven of their last eight home matches against Hannover 96 (L1 – 1-0 in 2014/15). Dortmund head coach Lucien Favre has won 10 Bundesliga matches against Hannover (15 attempts) – he hasn’t won more than seven against any other side. Dortmund picked up their 14th league win of the season on matchday 18 (D3 L1) – they’ve only been better off at this stage once: 2010/11 (15). They have 45 points on the board – a tally they’ve only topped once before: also 2010/11 (46). Dortmund have 45 points on the board – every previous side with 45 or more points to their name after 18 games has gone on to lift the title (6x Bayern + 1x Dortmund). Borussia Dortmund have won eight Bundesliga home matches this season (also 2-2 vs Hertha). They’ve taken 25 points from their opening nine games in front of their own fans – a club record (same as 1994/95). Hannover are winless in seven Bundesliga games (D2 L5) – they haven’t gone on a longer such run since their 2015/16 relegation campaign (8 matches). 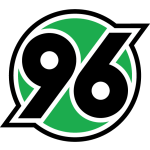 Hannover have 11 points on the board and a goal difference of -19; however, this isn’t their worst-ever return after 18 Bundesliga games (11 points and a goal difference of -20 in 1971/72). Hannover have kept a league-low one clean sheet in 2018/19 (same as Augsburg); however, it did come in the reverse fixture (0-0). They are on a 16-game wait for a shutout – the longest such run in the division. Hannover keeper Michael Esser made 14 saves against Bremen on matchday 18 – a Bundesliga record (since detailed data collection began).